Established in 1909, Loughborough College is steeped in history and internationally renowned for providing excellent levels of high-quality education, confirmed by Ofsted, the Quality Assurance Agency for Higher Education (QAA), and the British Council. With its fantastic range of courses, first-class facilities, and a fresh approach to modern teaching and training, why go anywhere else? The College is located on a vibrant campus situated opposite Loughborough University and about a 15-minute walk away from the town centre. Loughborough itself is a thriving university town in the heart of England with plenty on offer for students. It is also an ideal base from which to explore the rest of the UK. With its fantastic rail links, you could be in Manchester in two hours or London in an hour and a half. 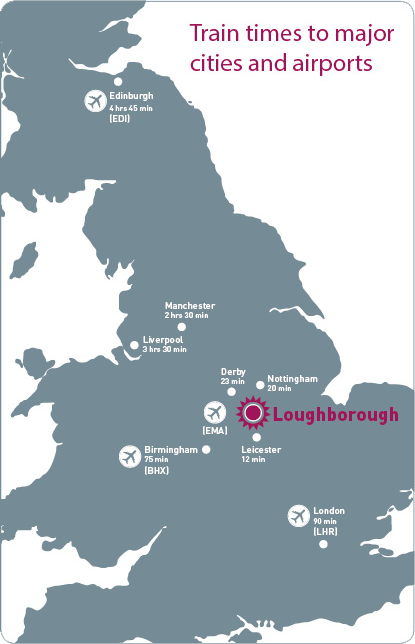 In addition, East Midlands Airport is only 13 kilometres away, offering flights to many of Europe’s major cities. Welcoming students from over 40 countries, we are proud of our growing multi-cultural community. As part of Loughborough Students’ Union (LSU)—ranked Number 1 for student experience-- you can become a member of over 100 different clubs and societies, including many international societies which attract membership from around the world. Our international graduates speak passionately about their experience with us and the extra support that is made available to them throughout their education. What I like most about studying at Loughborough College is that everyone is kind and everyone tries to help you if you have a problem. They also give you lots of opportunities to improve your English. We know how important it is to feel safe and comfortable when living away from home, especially for the first time. That is why we have dedicated support services and facilities available to help make Loughborough feel like home. My time at Loughborough was a totally new and different experience. My programme was arranged in such a way that it enabled me to be independent and settle in easily. The frequent advice from my Progress Tutor, as well as the support from my teachers and the International Team, made my stay at Loughborough College very easy. 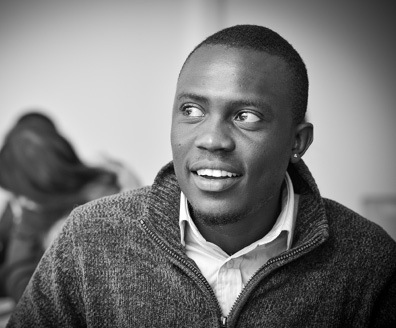 Our international graduates find success in their careers and further study. Last year, over 70% of our International Foundation Programme students progressed to a top 20 UK university and over 85% progressed to a top 30 UK university. I gained a lot from Loughborough College in my foundation year; not only a qualification but also communication skills and team skills, which benefit me a lot in my university life.